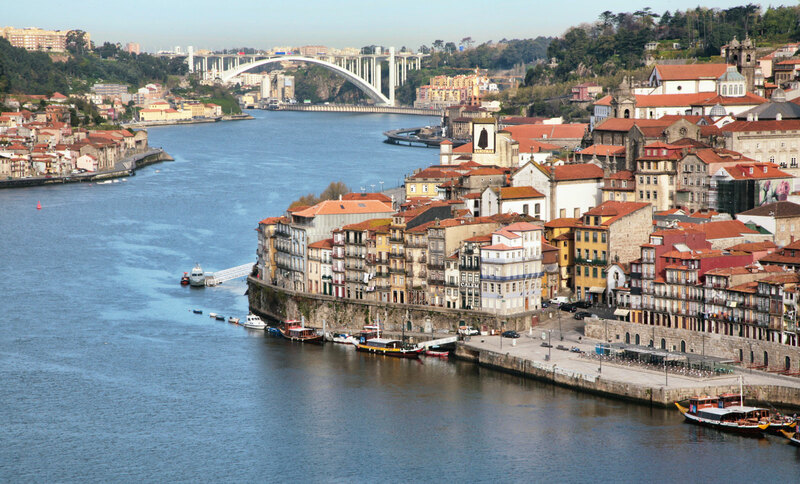 Porto is considered the capital of the north and as the second largest city in Portugal, rightfully so. There are really very few similarities between Porto and Lisbon – they are both near the coast, on the banks of large rivers and have some fairly daunting hills, but that’s really where it ends. The two cities have a totally different feel and different charms. 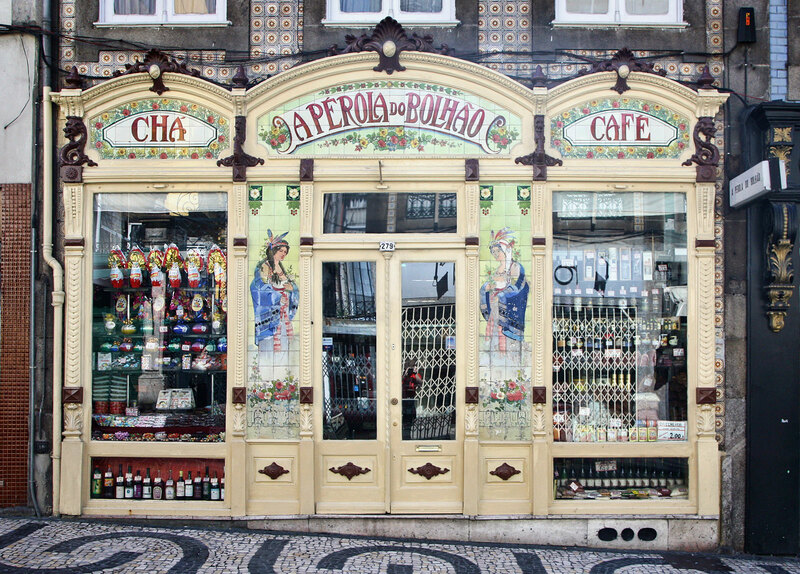 Porto’s most striking characteristic is that of ‘faded grandeur’. 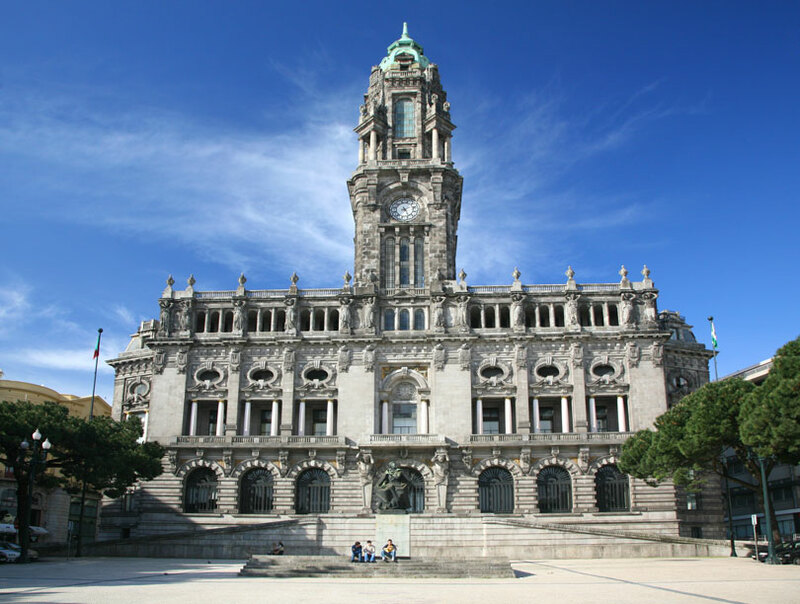 In Europe there are very few remaining cities that can do ‘faded grandeur’ quite on the scale of Porto, you’d have to travel to Cuba or Argentina for competition. The feeling is accentuated by the mix of Baroque, Neoclassical and splash of Belle Epoque architecture, all in varying degrees of preservation. It’s hard to find a description of Porto that does not at some point refer to parts of the city as being Dickensian, but I’d reached this conclusion before picking up a guide book. Downtown Porto, with a fog coming off the river, the gold leaf writing on the dusty shop windows and the winding confusion of cobbled streets is like taking a trip back in time to Olde London town. It’s hard to overstate how atmospheric this old city can be. Porto has the reputation of being a hard working city. Indeed there is is a saying which succinctly sums it up: "Coimbra studies, Braga prays, Lisbon shows off and Porto works". Whether this is still true is hard to know but the strong sense of rivalry still exists between Porto and Lisbon. This is generally vented via the national obsession with football and the intense rivalry between the countries premiere clubs, Porto and Benfica. The city itself is built on the steep northern bank of the River Douro and radiates out to the Atlantic to the west and the ports of Matosinhos and Leça in the north. For the visitor, most points of interest are shoehorned into a fairly small area between the riverside Ribeira district and the central Avenida dos Aliados. It is within this area that you will find the maze of medieval alleys, old world shops, cobbled streets and baroque monuments that define this city. 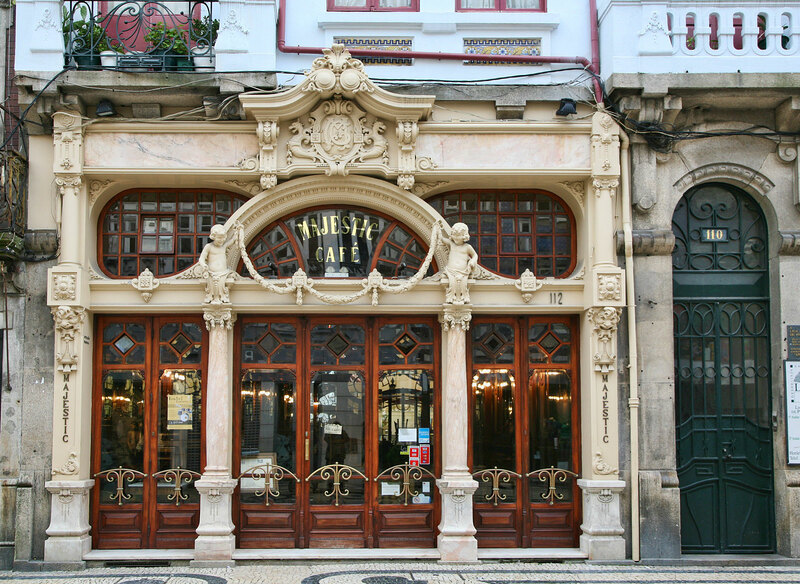 Avenida dos Aliados is generally regarded as the city centre and is as such Porto’s most grandiose avenue. Dominated by the town hall (Camara Municipal), the avenue is flanked by ornate neoclassical buildings with lawns and trees in the centre. Continuing downwards from the centre one reaches Sao Bento, Porto’s main station – worth a visit for its fine azulejos. From the station there is a clear line of sight up to the austere looking Romanesque cathedral (Sé) perched on a rocky outcrop overlooking the city and river. 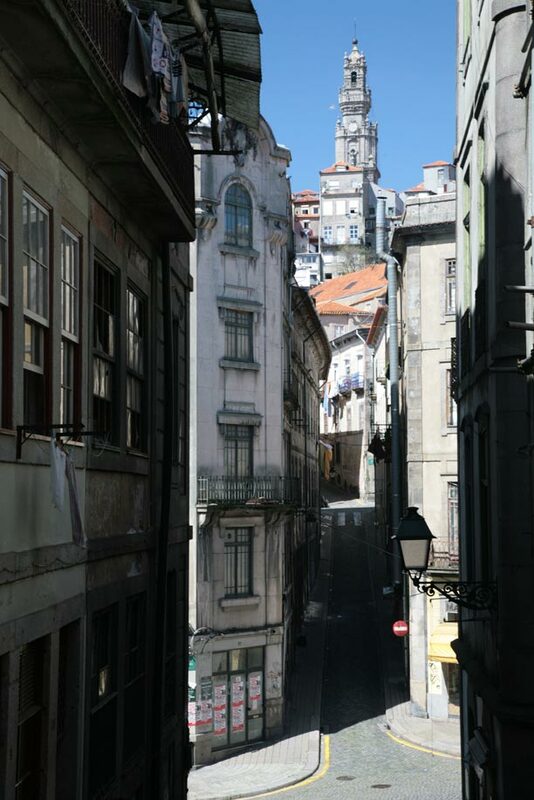 Between the cathedral and Ribeira lies one of Porto’s most fascinating districts, the Barredo, with its jumble of medieval alleyways and stairs leading down to the river. The Ribeira was originally the centre of commerce for the city, with big sail ships docking and unloading at the Cais da Ribeira. Those days are gone with the docks now located further north in Matasinhos and Leca. Now a UNESCO World Heritage Centre, the Ribeira is centred on the Praca da Ribeira, a sloping square with pavement bars and flanked by colourful 4 or 5 storey blocks with washing permanently hanging from the balconies. Now-a-days the area is the city's most popular night spot, with a plethora of small bars, cafes and night clubs scattered around the square, riverside and numerous winding streets. One of Porto’s most iconic symbols is the 72 metre (240ft) high Dom Luis I bridge which spans the River Douro carting traffic on two levels. 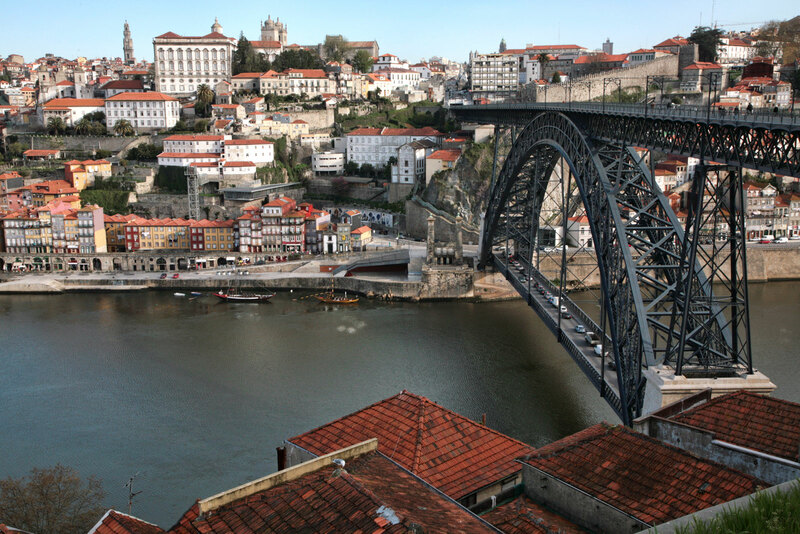 Completed in 1886, the iron bridge still carries traffic from the Ribeira to Vila Nova de Gaia. Dom Luis I is the second of Porto’s six bridges across the Douro. Starting from the coastal end there is the 270 metre concrete arch of the Ponte da Arrabida, then Dom Luis I. Next is the Ponte do Infante – its similar design to the Ponte da Arrabida is not suprising as both were designed by Edgar Cardoso. However, with a 280 metre span, Ponte do Infante is the World’s largest single span concrete bridge. Further east again is Gustave Eiffel’s Ponte Dona Maria Pia, an iron railway bridge that was used up until 1991 when it was replaced by the adjacent Ponte de São João with its 3 concrete arches. The furthest east of Porto’s bridges is the 1995 Ponte do Freixo which carries the P1 motorway over the river. There are actually the remains of a 7th bridge in the Ribeira, next to Ponte Dom Luis I. The Ponte Pensil suspension bridge was in use between 1843 and 1887 when Dom Luis I superseded it. All that remains of it now are a pair of pillars on the Ribeira. To the west of the Ribeira is the Alfandega (customs). This area is perhaps best known for the Casa do Infante (or Casa da Alfândega Velha), an impressive 14th century mansion that was expanded many times over the centuries as the city’s trade grew. It now houses the city archives and contains a museum displaying archeological finds from a Roman palace on the same site. Heading back up the hill from the river is the Bolsa, Porto’s stock exchange. Housed in a 19th century neoclassical palace, the interior is a case study in opulence. Next door to the Palacio da Bolsa is the Igreja de São Francisco, Porto’s only remaining Gothic church, dating back to the 14th century. 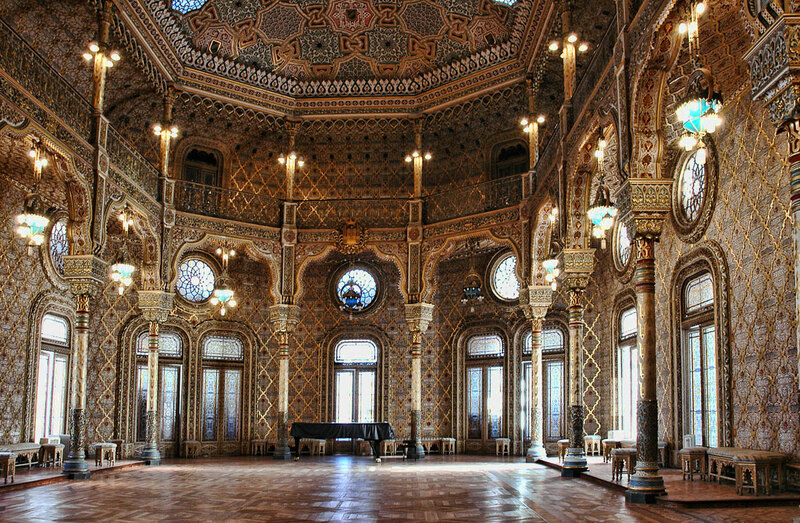 Although not particularly extraordinary from outside, the baroque interior is possibly the finest in Portugal. The church is actually deconsecrated now although it still has an ‘ossario’ in the catacombs consisting of hundreds of skeletons stored and awaiting judgement. Above the Bolsa is the main downtown district, or Biaxa, consisting of wider cobbled streets flanked by grimy 5 and 6 storey buildings, most with wrought iron balconies and more than a few with the washing drying in the breeze. At street level there are a frankly bizarre collection of old fashioned shops including shoe shops, hardware stores and ones selling various nik-naks, most with dusty window displays. If it wasn’t for the cars it would be easy to imagine it was a couple of hundred years ago. The real shopping heart of Porto is to the east of the centre, most notably Rua Santa Catarina, a shop lined, pedestrian street stretching from Praca da Batalha to Marques de Pombal. There are a good range of shops here ranging from the big names through to small barber’s shops and Belle Epoque cafes.